Said Samatar, who died last week, explained Somalia. A brilliant scholar he used words like swords and clubs wielded with speed and skill to skewer or batter his audience. Not just a Somali expert, but a true exponent of the Somali way: attack first and fast and only concede or retreat as tactical ways of re-launching or advancing his argument. All this was done with that other great Somali talent – humour. I shall treasure his signed copy of Oral Poetry and Somali Nationalism – the history of Sayyid Mahammad Abdille Hassan, a Somali nationalist who battled against the British invasion the early 20th century and defeated them on more than one occasion. He hit them with bullets and sent them handwritten poems. The British called him “The Mad Mullah” but they never caught him. I first met Prof Samatar at a small closed conference in Cairo soon after Somalia had effectively disintegrated. He berated the rest of the world for neglecting the country, but then explained how Somali culture – not foreign intervention – had caused the collapse and only Somalis themselves could find a way to reconstitute the Somali world (he hated states) through a kind of clan-based anarcho-syndicalism. He urged his Egyptian hosts not to go to Somalia, but to leave it to the Somalis. 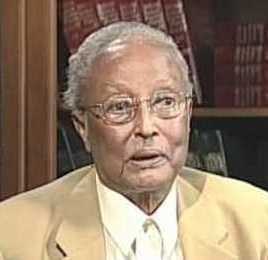 To him the Somali culture of contradiction was both the cause and the cure. That was in 1994. He has been proved right. And although he would be wracked with grief at the state of Somalia today he would also be laughing at the seemingly pointless battles and quick-fire wisecracks.